This soaring novel introduces us to Angel Tungaraza: mother, cake baker, pillar of her community, keeper of secrets big and small. 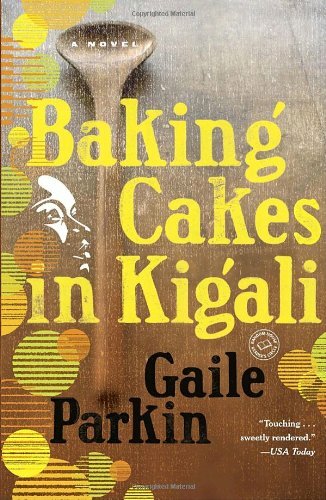 Angel’s kitchen is an oasis in the heart of Rwanda, where visitors stop to order cakes but end up sharing their stories, transforming their lives, leaving with new hope. In this vibrant, powerful setting, unexpected things are beginning to happen: A most unusual wedding is planned, a heartbreaking mystery involving Angel’s own family unravels, and extraordinary connections are made—as a chain of events unfolds that will change Angel’s life and the lives of those around her in the most astonishing ways..
A good read once you get past the rather slow start. Although the book has as it's background the history of Rwanda, with it's genocide, poverty, AIDS and Ebola, it's not a depressing read. A really African novel. Oh, this looks like an interesting story! And from Rwanda as well! I haven't read many books set in Africa, so this is great! Thank you very much! Also, thanks for the postcard, bookmark, tea bags and chocolate! Oh, this was a really nice read! Although a fictional story, parts of it is based on true stories that was told to the author. I found it interesting that people appearently found it easier to tell their story to Angel, a Tanzanian woman, than to someone from their own country; Rwanda. Arrived today. 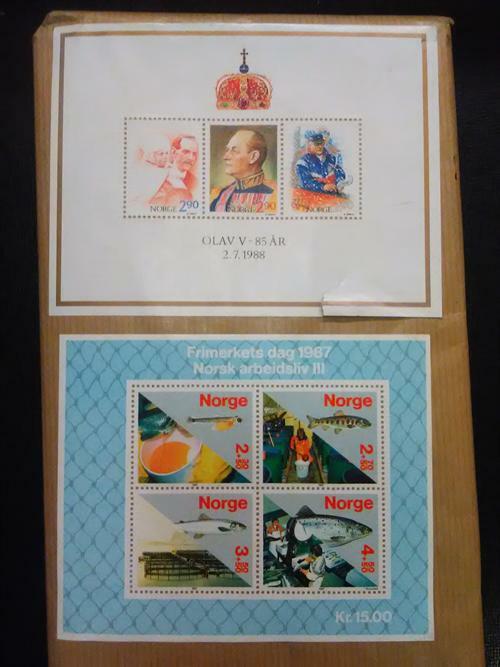 The package was a piece of art in itself - one side was completely covered with Norwegian stamps. Thank you for sending it to me CathrineB! At first it was very feel-good and every day life-ish and I started to get used to the form of one customer and one customer-story per chapter. But then it made a slight turn; the characters started to interconnect and the subjects deepened somewhat. In one sense this was an unusual novel for my part. I've read a number of books that I thought too long, too many redundant words etc. This one was quiet the opposite, and that is something that rarely happens to me. I read the last chapter wishing the book had a couple of hundred pages more to go. I didn't want it to end. I wanted to know more about the people and city, what would happen next. I wanted to stay with those characters a while longer. Couldn´t resist this novel at a fika with fellow bookcrossers.